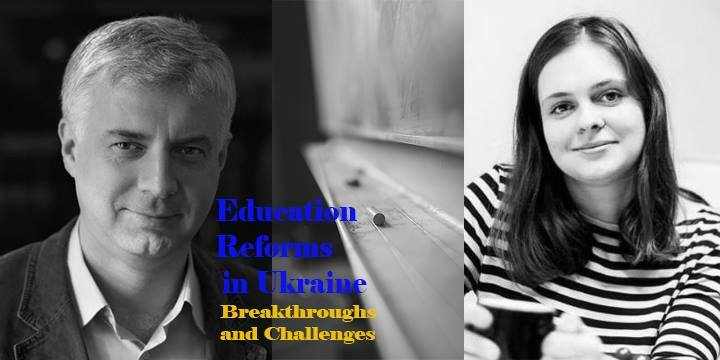 We invite you to take part in a discussion panel Education Reforms in Ukraine: Breakthroughs and Challenges that will take place at Stanford. Ukraine is in the midst of the comprehensive education reform that aims to transform Ukrainian schools into an environment where students could acquire skills that will allow them to achieve their professional dreams and become active members of the society. Will the proposed measures help Ukraine to overcome the post-Soviet inertia in education? Who can become the driving force of these changes? During this panel we will discuss the effectiveness of proposed changes, address key factors that could help Ukraine to achieve these important breakthroughs and to prepare leaders that will be able to advance the education reform at all levels of the system. Please join us for this unique opportunity, meet our experts and contribute to this important discussion. Serhiy Kvit, Ukrainian public and education leader, Minister of Education and Science 2014-2016, former President of Kyiv-Mohyla Academy National University 2007-2014, currently a visiting Fulbright scholar at Stanford University. Yulia Barannikova Yulia Vasyliv – our guest is a co-founder of Centre of Innovational Education “Pro.Svit”, currently a Fulbright scholar at St Cloud University Education Administration and Leadership program. Panel will be moderated by Svitlana Kostenko, a graduate of Kyiv National University, who now works in the e-learning industry in the Silicon Valley.